We buy a lot of fruit. I buy in bulk at Costco and it usually gets eaten. If it does get a bit old, I just pop it in baggies and freeze it. Then we add the fruit to smoothies. My kids love smoothies and the daycare kids love smoothies as well. Of course I love to be able to give them a treat that is so super healthy. 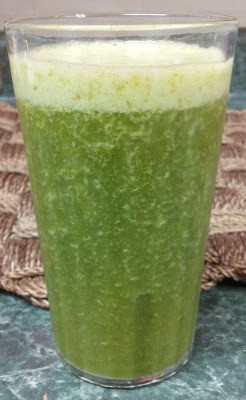 I've been drinking green smoothies for awhile. Mostly it's consisted of adding spinach to my fruit smoothies. Sometimes kale. Then I began reading Elena's site Vegalicious. I started a 3 day smoothie cleanse. I loved it! And I learned so much more about what to put in smoothies. I bought a whole bunch of greens that I had never tried before. 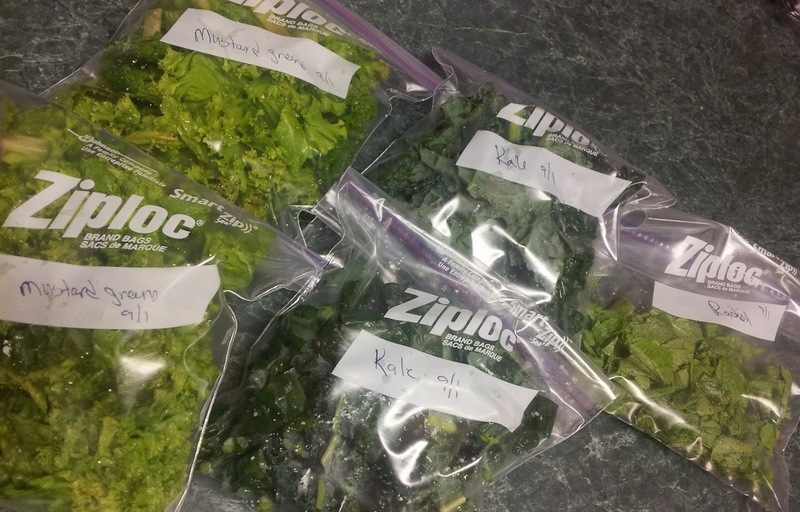 My regulars I keep in the refrigerator now are mustard greens, kale, radish greens and of course, spinach. I do like to try other ones too for variety. I clean the leaves, chop them up and throw them in the freezer and the refrigerator. 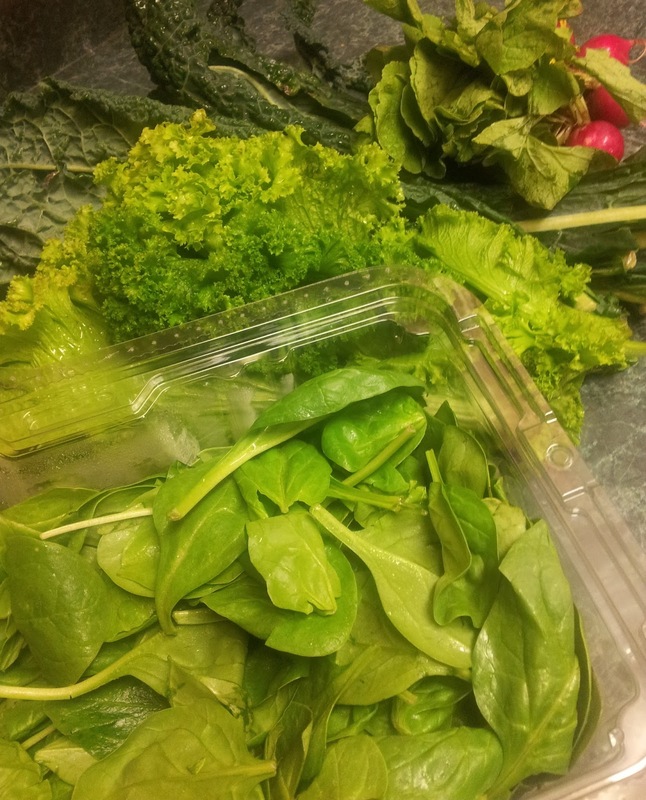 I've been shopping at Whole Foods and getting organic greens which is awesome! They have a huge variety of greens. 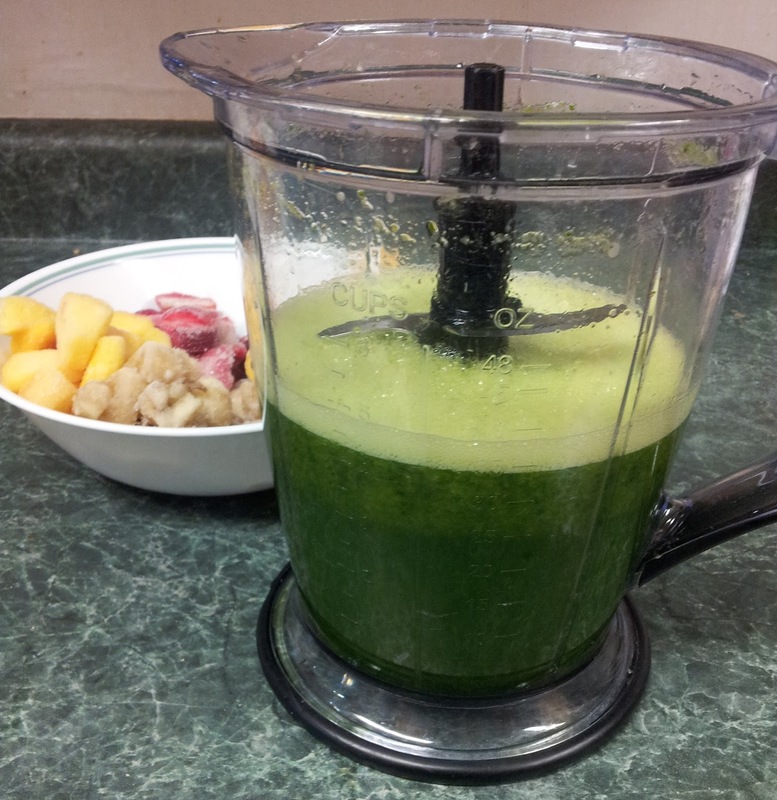 I used to add the fruit first to the food processor and then the greens. It was a bit chunky. The greens didn't process all the way. 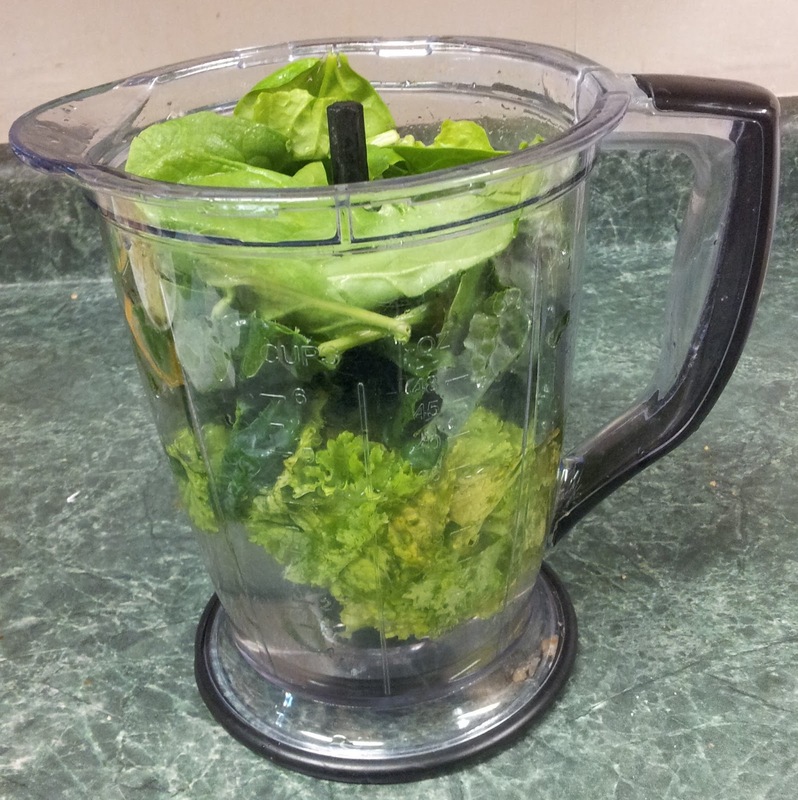 Now, if you have a Vitamix, then you probably won't have that issue. Mine is the Ninja and might not be the best for smoothies but it's sturdy and it's lasted a long time. Anyways, I found if you add your greens first and then your water. Then process the greens and they get much smaller. I try to add as much green as possible. The more green the better! The mustard greens do have a bite so there is some flavor but for the most part, my smoothies just taste like fruit. I also have been adding dulse flakes and ground flaxseed to my smoothies. I'll experiment with more additions eventually. So, so, so many different fruits you can add. I buy a big bag of frozen strawberries and organic mixed berries at Costco. I also buy a bag mixture of frozen strawberries, peaches, pineapple and mango at Sams Club. These are my staples in my freezer. I also like to buy a ton of bananas when the are on sale and chop them up, stick them in baggies and throw them in the freezer. 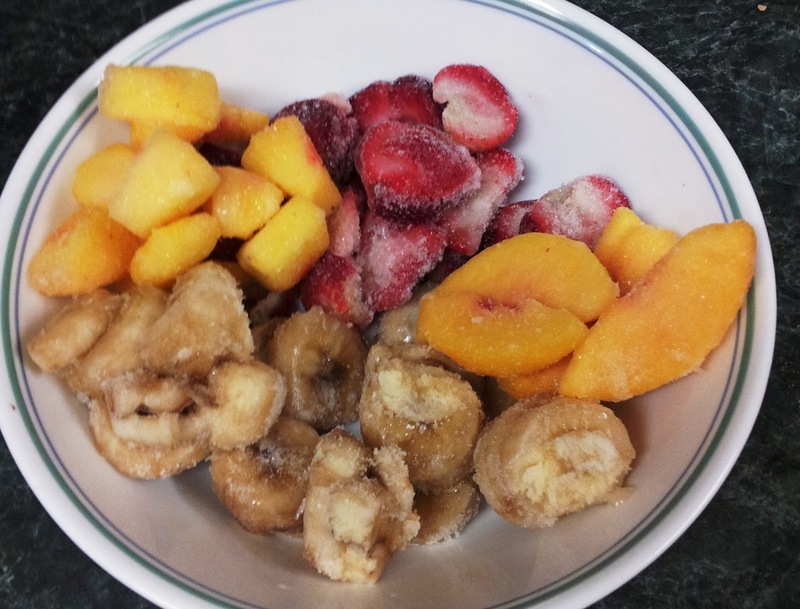 I also often have grapes, plums, nectarines, watermelon, pears and various other fruits in the freezer as well. I told you, we buy a LOT of fruit! I can't tell you exactly how much water to add. It really is a matter of personal preference. I add a lot of water. I used to drink them thick but found I didn't enjoy them as much. I like them thinner with a lot of water. Then I drink them for breakfast and usually finish off the pitcher by the end of the day. This is day 6 of 30 days of vegan recipes. I find that if I start my morning with a green smoothie, the rest of the day just goes better. I think of it as my daily medicine. My DELICIOUS morning medicine. 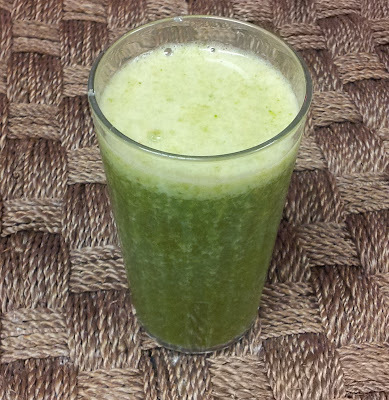 For more information about green smoothies, check out Vegalicious! The Gateway comes to Chennai..
Tadka Talk- Sunday Brunch and set lunch!